﻿ Since forming in Kansas City in 1995, The Get Up Kids have become popular in the western emo scene with their EPs Woodson in 1997 and Red Letter Days in 1999, not to mention their enormously influential sophomore album Something To Write Home About that same year. The band’s new EP Kicker, named after the band’s foosball obsession, is set to be released on 8th June after a seven-year gap since their LP release in 2011, There Are Rules. The EP marks the band’s movement from their early days by focusing on the complex reality of adulthood as they enter their forties, with each of the four tracks reflecting on their life experiences over twenty-three years together as a band. Songwriters Matt Pyror and Jim Suptic struck a nostalgic tone stating: “You always look back in rose colored glasses, and I always remember when this band was really struggling and we were selling our CD collections to pay our rent and that sucked at the time, but looking back that was an amazing time, that was so much fun. There was no pressure or anything”. The upbeat opening track Maybe encapsulates this by reintroducing the band’s energetic sound of fuzzed-out guitars, chiming keyboards and Pryor’s vocals taking the energy of their earlier tracks into a new era. While Maybe acts as a nostalgic trip back to the ’90s, Better This Way reflects on making the right choices with the catchy chorus and chanting backing vocals repeating “I guess some things are better this way”. I’m Sorry and My Own Reflection follow a similar style of simplistic lyrics and basic guitar riffs, failing to fully capture the prospect of a new era the tracks promise. The Get Up Kids have managed to retain the carefree idealism of their earlier tracks, showing even though they may have grown up, they haven’t become jaded. However, Kicker dwells in a relatively safe territory with basic structure and shouty vocals, leaving fans waiting for that little bit of spice the EP needs to make it stand out from the crowd. 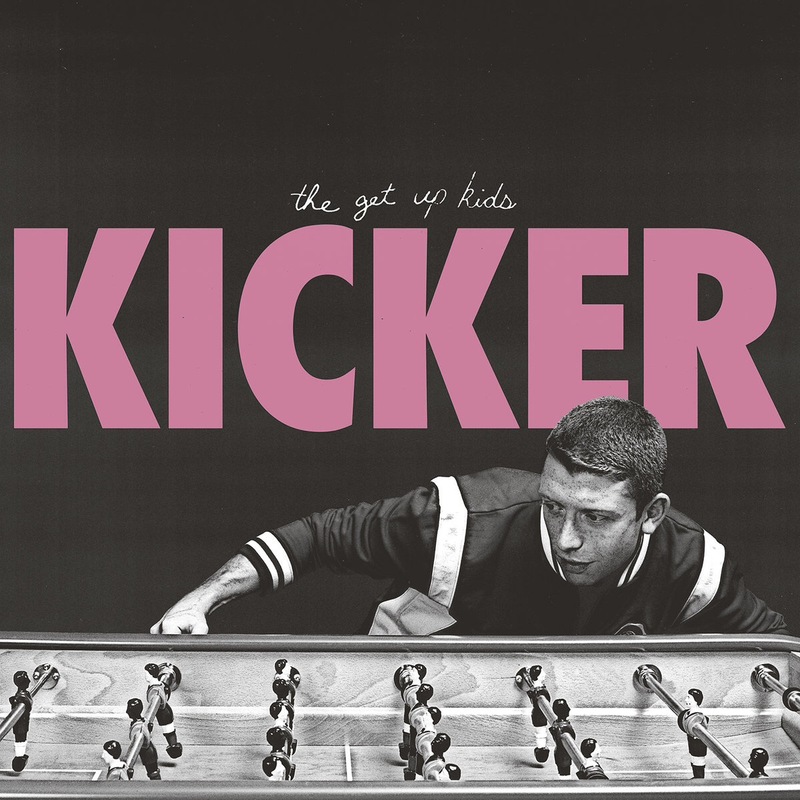 ‘Kicker’ by The Get Up Kids is released on 8th June on Big Scary Monsters / Polyvinyl Records.